My car does not have the folding seat option, so I imagine it is eaiser on my model. 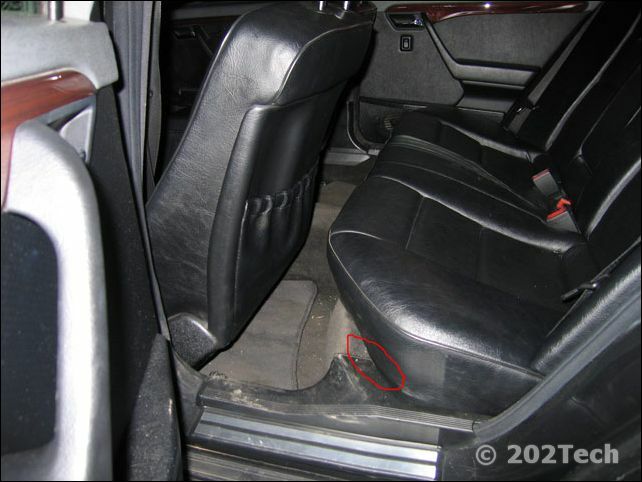 To remove the rear seat, first remove the seat bottom by pressing in the release levers which are located on the front corners where the seat meets the body of the car. 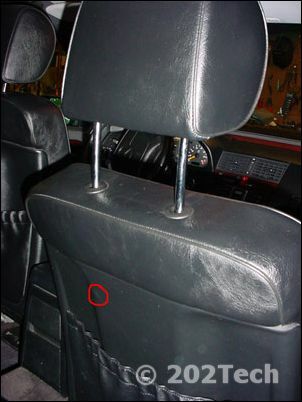 (Area is circled in picture) Remove the cushion by lifting up on the front and pushing backwards, and then pull up to completely remove. To remove the seat back (non-folding), after removing the seat bottom, remove the three bolts on each side and in the middle. I believe they are 10mm. After unbolted, simply lift straight up and pull away. Reinstall in opposite order, making sure that all of the mounting brackets are exposed and the seatbelts are not hidden under the seat. Note: This write-up was done on my car with power seats. To remove the front seat(s), first, remove the head rest. With the power seats, raise the headrest to full extent. As circled int he picture below, press in the hidden button and then pull the headrest up by hand to remove all the way. 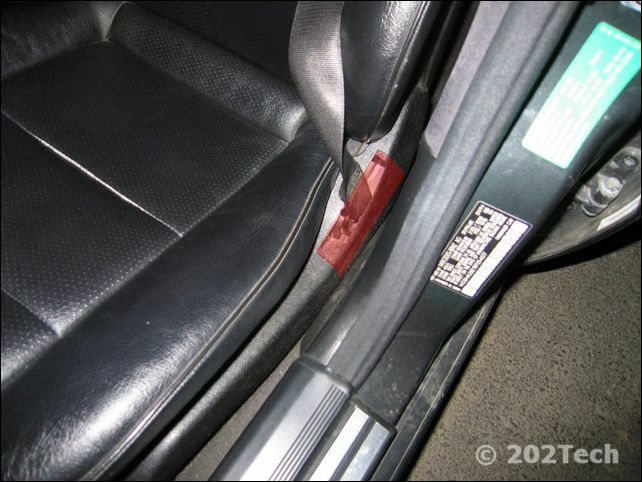 Second, Remove the seatbelt end cover (where the seatbelt attaches to the seat). It is highlited in red in the picture below. Unbolt the seatbelt end from the seat. Next, move the seat all the way forward. From the rear, Remove the two Rear seat mount bolts. They are Torx head bolts either T-40 or T-45 size. Now, move the seat all the way backwards to expose the front seat mounting bolts. Remove the covers by using a screwdriver to lift the tab that is actually in the seat rail. THen slide it off. The mounting bolts should be the same size as the rear bolts. Now, disconnect the wiring harness. Do not turn the car to the ON position at this point. Doing so may cause a SRS warning light. From here, the seat can be lifted up and removed from the car. Becareful not to poke or scratch anything on the way out!